Wendy Siew-Inn Tan is an explorer at heart. Led by curiosity and care, her work is about learning and bringing forth ideas to help us act with wisdom for the greater good. Being a Chinese with a Western education, Wendy draws from both wells to find insight and inspiration for us to be better human beings and leaders to create institutions that work for all. Wendy co-founded Flame Centre in 2004, a talent development and instructional design practice based in Asia. Flame Centre’s work in integrating pedagogy and technology for learning advantage recently won the InnovPlus Spark and HRO Today Thought Leadership Awards. 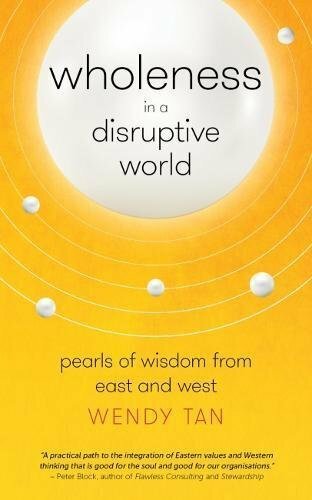 She is the author of “Wholeness in a Disruptive World: Pearls of Wisdom from East and West”. Wendy is a Certified Professional Speaker (CSP), a designation conferred by the National Speakers Association as the international measure of professional platform competence. Wendy has conducted keynotes and presented widely in conferences and organisations. She connects with her audience through her authentic, heartful and thought-provoking disposition. As a consultant and facilitator, Wendy enjoys partnering with clients to bring about an alternative future where people and businesses thrive. Flame Centre also represents the work of Dr Beverly Kaye in career development and talent engagement solutions and Peter Block’s Flawless Consulting workshops in the Asia Pacific region. Wendy has worked with many multinational corporations and government agencies in her career. Wendy holds a Masters of Science in Organization Development (MSOD) from Pepperdine University and graduated with honours from the National University of Singapore in Psychology. Her articles have also been frequently published in industry magazines, such as OD Practitioner, TD and AI Practitioner. She is based in Singapore with her family. If you’re a middle manager, you probably spend 35% of your time in meetings. If you’re in upper management, it can be a whopping 50%. Yet executives consider 67% of meetings to be failures. We want meetings to be engines of productivity. The reality falls short.